Over the summer holidays, Piglet is still attending nursery two mornings a week. With this time set aside for just Roo, Tigger and me, I promised them that we would do some baking as it is easier when I don’t have to worry whether Piglet is going to wake up early from her nap. Roo and Tigger had been flicking through recipe books and recipes I’d printed off from other bloggers that I saw throughout the year. There was one particular recipe that Roo wanted to make chocolate orange fudge. Now, this is the part where I have to confess to buying a Terry’s chocolate orange in preparation for our epic baking session, however, I appear to have eaten it whilst watching Game of Thrones earlier in the week… Bad mummy alert! I needed a chocolate orange recipe that didn’t require the use of a Terry’s chocolate orange… FAST! 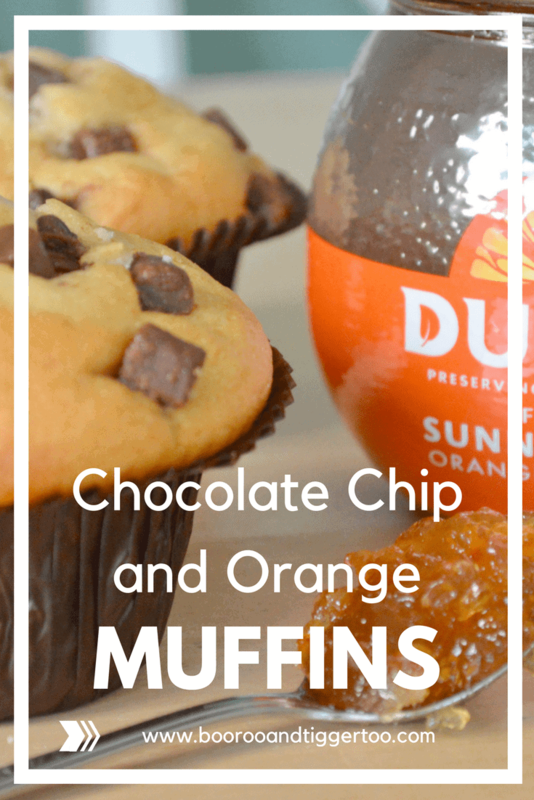 So opted to adapt one of our usual family muffin recipes to use up the chunky chocolate chips and Duerr’s orange preserve I had sitting in the cupboard. Muffins are a fantastic alternative to cupcakes and don’t require icing which is great as I can never seem to get buttercream to turn out right. 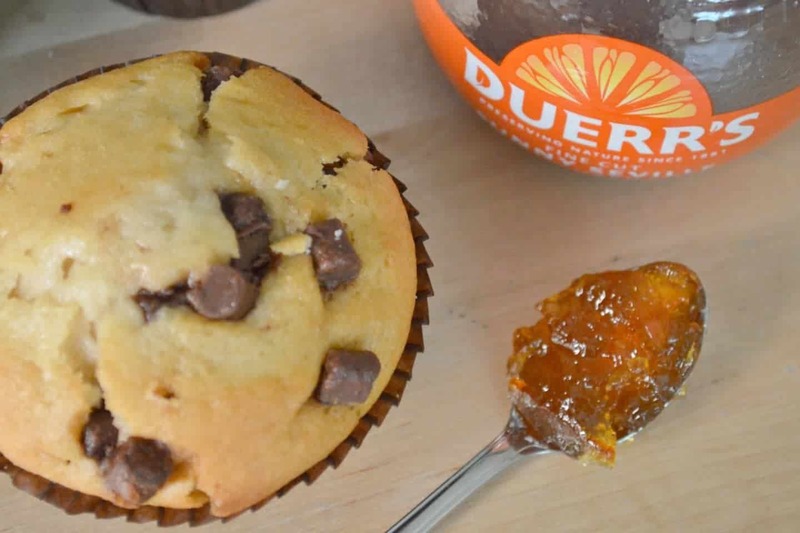 So why not try my Chocolate Chip and Orange Muffins which include a dollop of Duerr’s preserve in the middle of them. Duerr’s is the oldest-family owed jam makers in England. Based in Manchester in the glorious North West Duerr’s have been making quality preserves for families to add to their recipes for 135 years.